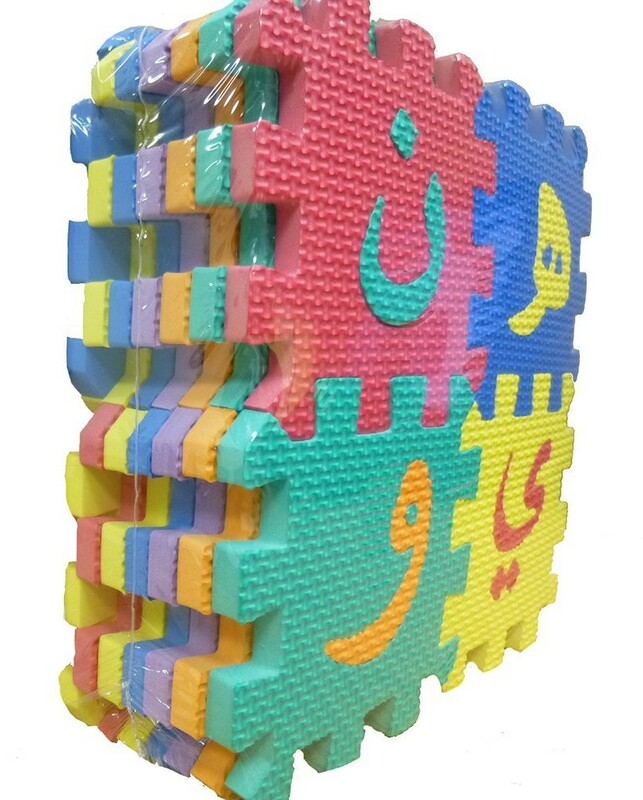 Grab your kids' attention with these colorful alphabet mats. 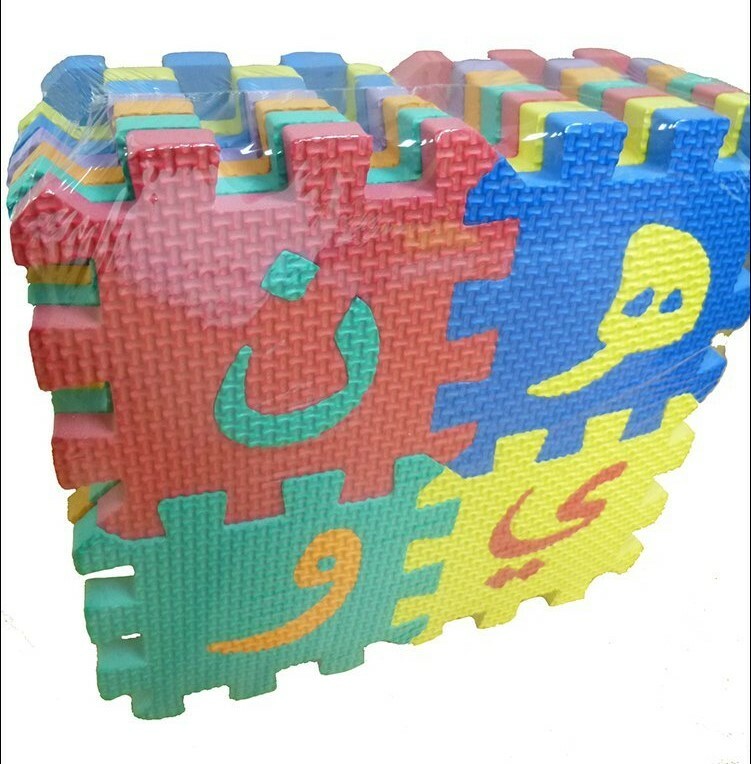 Interlocking pieces connect side by side or interlock in 3-D format. They are made of a 1/3 inch, foam-like materials. Children spell words or use their imagination to create houses, toy boxes, castles, etc. A must for pre-school and kindergarten classrooms. Comes in an attractive plastic tote bag for easy storage. Fun to play with, soft and washable.